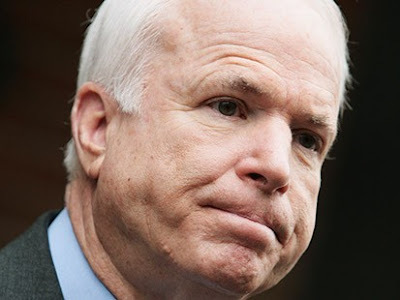 Am I the only one who thinks that John McCain looks like a hamster? Those puffy cheeks were on full display during his nomination speech, which no one remembers because we still have the shrill voice of the yapping pitbull ringing in our ears. American politics is a mystery to me, and I don't have the vote in the USA. But the choices made at the polls in America affect the rest of the world, so we watch and hope. I hate stereotypes, but if the DNC could be summed up as slightly insincere but sophisticated and charming, then the RNC would be summed up as nostalgic and snide. Sarcasm is all very well, but when it becomes the main point of a speech, then it is really boring. And the trouble is most American blogs are just full of juvenile insults, no matter which party they suppert, and it will stay that way until the election. Can't wait for it to be over -- then we can wait to see which country the new prez has chosen to bomb. I think the same, man! 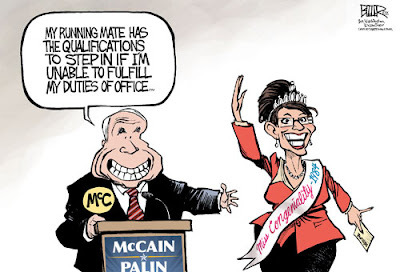 McCain seems a hamster, the hamster of Bush.